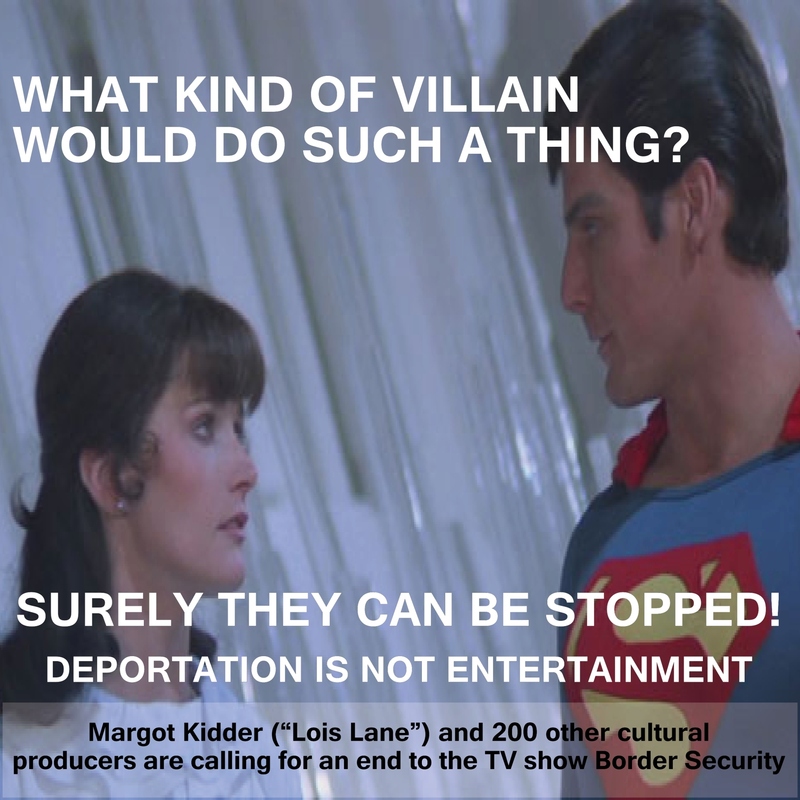 Margot Kidder (â€œLois Laneâ€) and 200 other cultural producers call for an end to racist TV show Border Security. On behalf of the National Immigration Law Section of the Canadian Bar Association, I am writing to express concern about the involvement of the Canada Border Services Agency with a reality television show, â€œBorder Security.â€ The CBA is a national association representing 37,000 jurists including lawyers, notaries, law teachers and students across Canada. The Association’s primary objectives include improvement in the law and in the administration of justice. 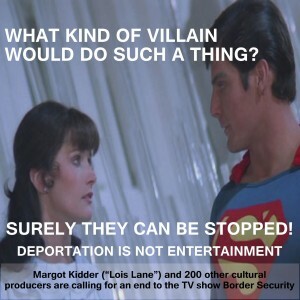 We understand that the CBSA has entered into an agreement with Force Four Productions, the production company for â€œBorder Security.â€ The agreement, which has been widely circulated in the press, gives the CBSA broad control over the content of the show and allows the CBSA to prohibit broadcast of any material without giving reasons.